For exciting gaming and entertainment in a very relaxing atmosphere, there’s no better place than the Grandview Casino located in the lobby. Grandview Slot lounge provide fast-paced and exciting entertainment within a comfortable and spacious environment. 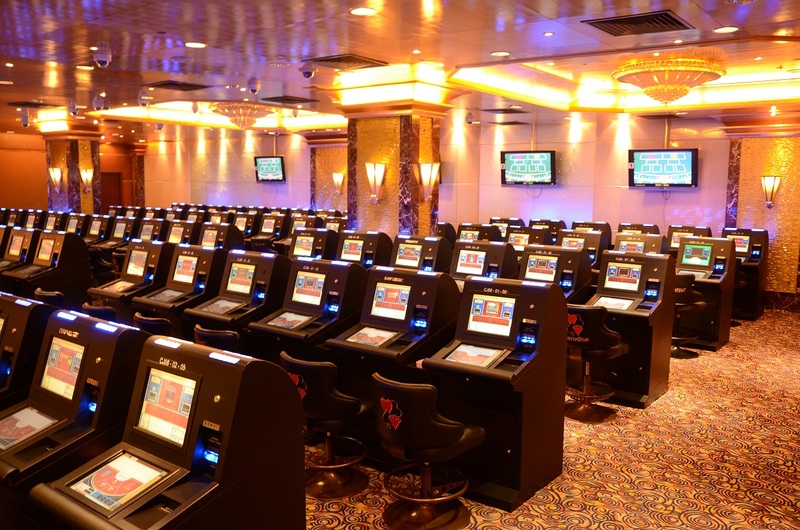 At 1st floor electronic gaming halls which feature over 180 slot machines and live baccarat terminals. The whole concept's stunning decor and generous gaming area are carefully crafted to provide a comfortable atmosphere to suit even the most discerning guests. For your total comfort and privacy, we have Golden Times VIP Room for your enjoyment.